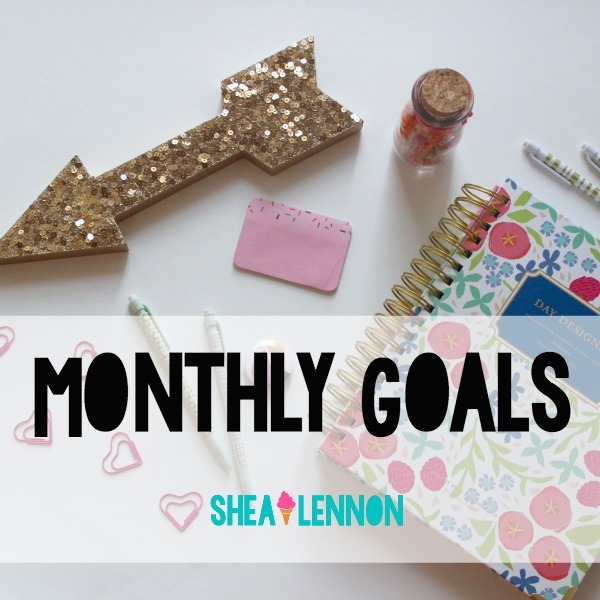 Each month I share my goals as a way to motivate myself to get things done and stay accountable. 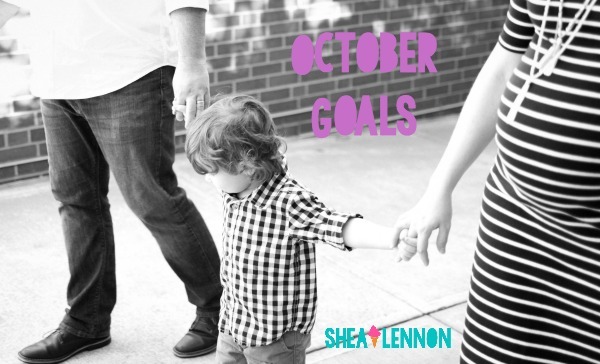 Here's this month's recap and the next month's set of goals for my home, my blog, and my family and personal life. 1. Start putting together Violet's nursery. Yes, I got a good start, but I still have quite a bit left to do. 2. Hang some dang pictures. Sad, but no. I think I can safely come to the conclusion that picture-hanging won't be happening around this house for a little while. 1. Apply for campaigns on affiliate networks. Nope... I underestimated how exhausted I'd be during this last part of my pregnancy. I've just been doing what I can when it comes to blogging, but I don't have any extra time or energy for anything on top of regular content. 3. Start planning some posts in advance to schedule post-baby. I can kinda-sorta check this one off. I have some planned, although not actually written. 1. Plan outfits and details for family photos. Yep! The photo above is actually from our photo session. While I don't have all of the pictures back yet, I love the sneak preview pics that Jenna, of Marianne Photography, sent. 2. Organize digital photos and get some printed. This one is in process. I haven't printed any, but I did download Google Photos so that my photos both on my phone and on my computer will be stored in the same location. Now that my pictures are all together, I need to get them organized. 1. Finish Violet's nursery. Other than one print I need to order after she's born (since it will be personalized with her birth "stats") I think I have everything I need to finish her nursery before she gets here. Fingers crossed. 2. Finish Jona's dresser. We decided to move the furniture that was in Jona's room into Violet's room, and give Jona a "big boy dresser" to go with his "big boy bed". We painted an old dresser navy blue and gave it a very slightly distressed finish. All I need to do now is find some new drawer pulls, and it will be ready to go. 1. Plan ahead and pre-schedule some posts. We'll see if I have time to do this... it may be wishful thinking. 1. Have a baby! Well, if I accomplish nothing else this month, at least I know I'll be able to check this one off! 2. Get a pedicure. My poor swollen feet could use some serious TLC, especially since trying to paint them myself is pretty impossible at this point. 3. Go to the pumpkin patch. We're planning to go the weekend before Violet comes. I may be waddling around that pumpkin patch by then but I sure am going to try! 4. Get Halloween costumes for Jona and Violet. I have ideas in mind for their costumes, I just need to put them together. Linking with Writes Like a Girl and A Pocketful of Polka Dots.